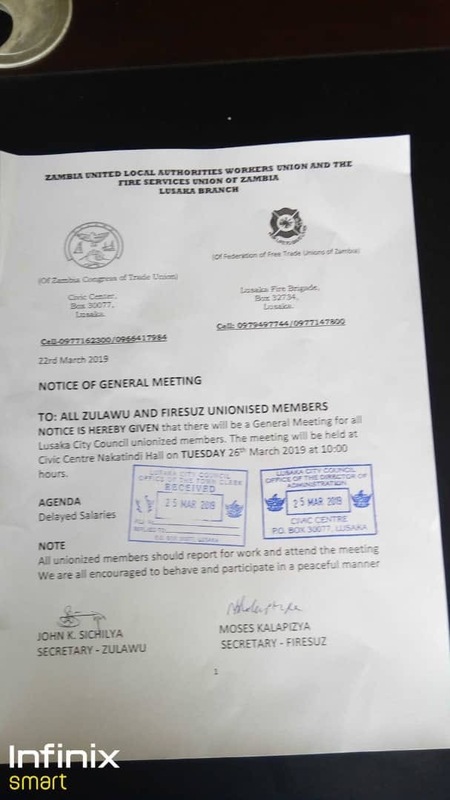 Lusaka City Council workers and firefighters will this morning meet to talk about the council’s failure to pay them February and March salaries. The meeting has been convened by the Zambia United Local Athorities Workers Union (ZULAWU) and the Fire Fighters Services of Zambia (FIRESUZ) Lusaka Branch. 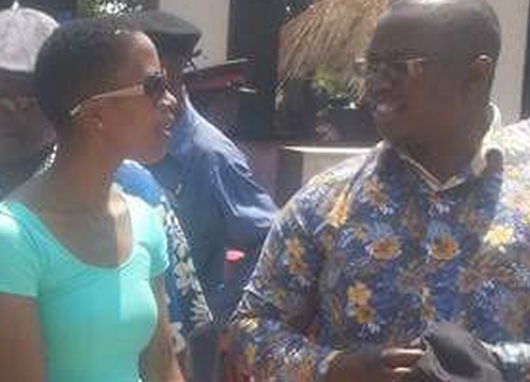 According to a memo whose agenda is stated as “delayed salaries” and signed by ZULAWU secretary John Sichilya and FIRESTUZ secretary Moses Kalapizya the meeting will take place at the Civic center at 10:00 hours.